In honor of this week's Go Red For Women Experience at Heritage Hall, we are going red ourselves - with our brand new Outfit of The Week. Heart disease is the #1 killer of women, so we are more than happy to help bring awareness to this cause, as well as this event. 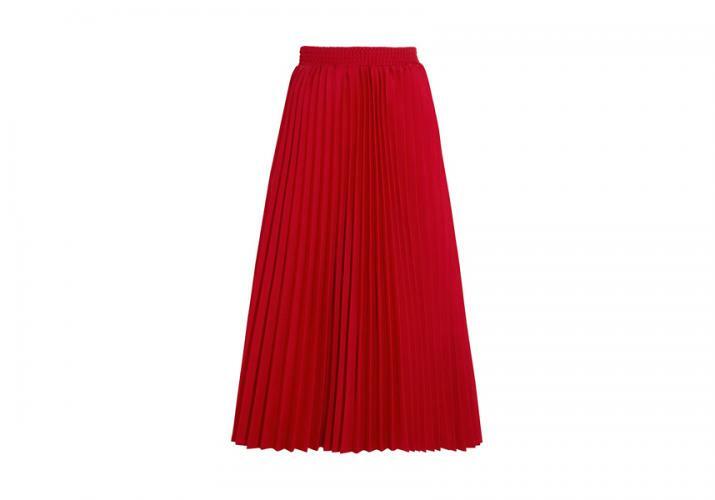 We started off our look with a bold midi skirt by Balenciaga, made from red crepe and crisp pleats. This design is perfect for a ladies luncheon, especially one themed in red. 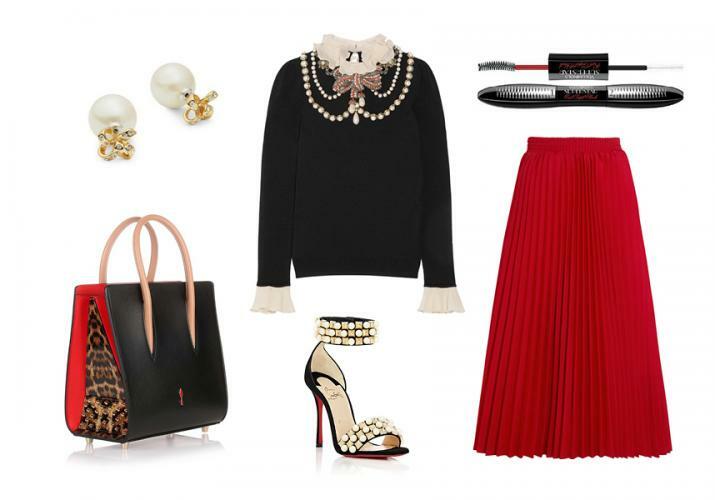 To accompany our ladylike skirt, we added an embellished sweater by Gucci. 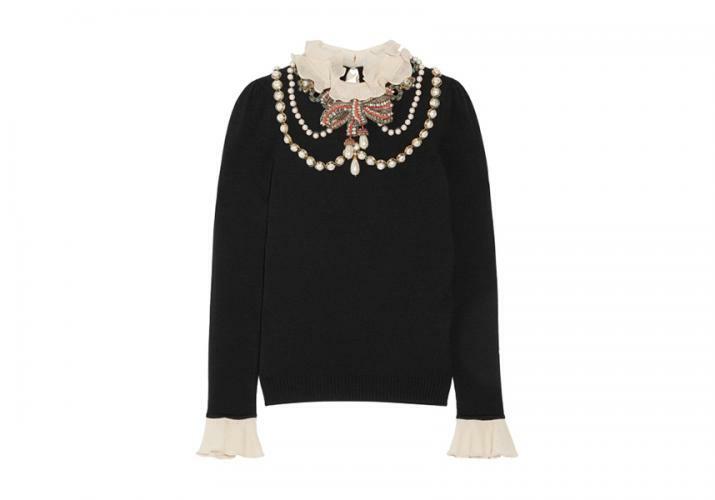 Decorated with a draped collar of faux pearls, sparkling crystals and embroidery, this wool-blend sweater has contrasting ecru ruffles at the cuffs and neckline. For shoes, Christian Louboutin’s black suede Tudor Ball sandals are part of the label’s AW16 collection, titled ‘The Golden Age’. Suitably decadent, they’re finished with gold-tone metal pyramid studs and creamy faux pearls at the supportive straps. The signature red sole also heightens the eye-catching appeal. 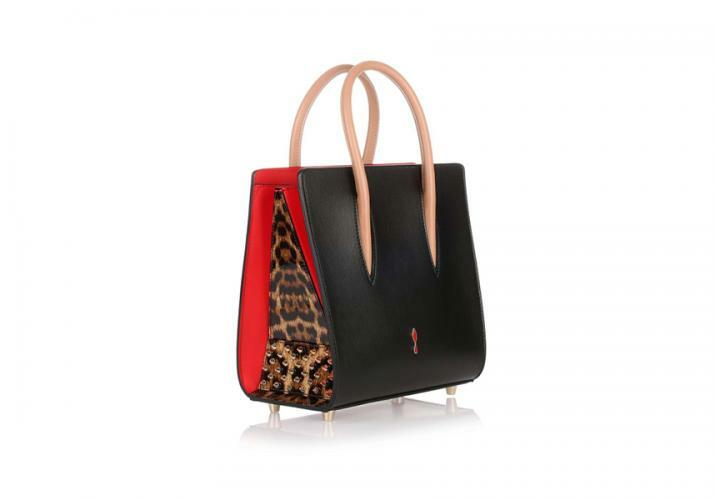 Keeping with the Louboutin brand, the label's Paolma tote was our next addition. The leopard panels, spike detailing, and color block design make this bag a true conversation starter. 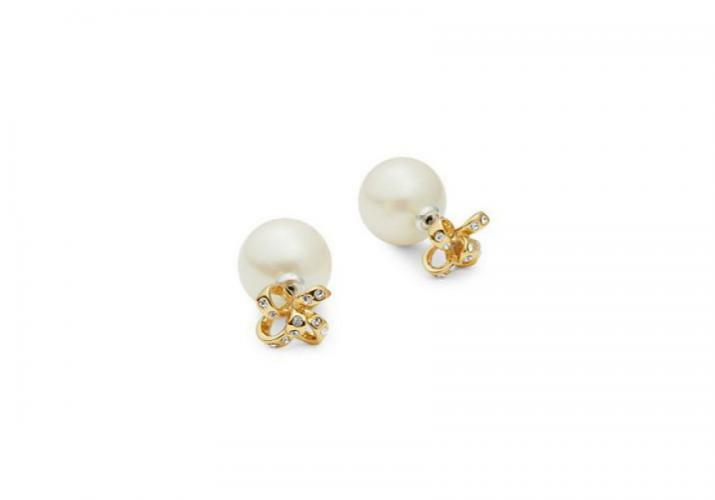 Since our gorgeous sweater is loaded with bling there's no need for fussy jewelry; instead a pair of simple pearl studs are in order. This pair by Kate Spade is reversible, making them not only ultra chic, but also versatile. As always we wrapped things up with a little help from the beauty department. Nothing makes you look more awake and refreshed than a pair of bright eyes. 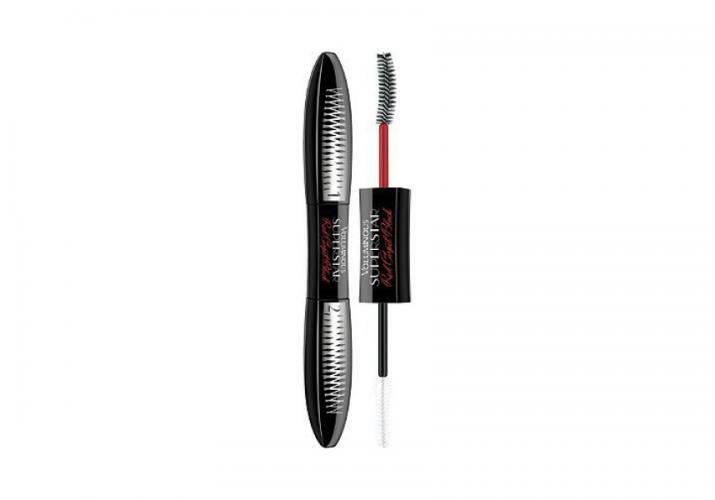 The Voluminous Superstar Red Carpet Black Flash Reflecting Mascara by L'oreal gives a show-stopping lash effect. Its like mascara artistry in a tube, dual ended with a lash volumizing primer on one end, and a black extending formula on the other. In other words, your lashes will be camera ready. Whether you are attending the American Heart Association event, or just want to participate in the this very important campaign, in this look you will be 'Well Red' wherever you go.